Oceanfront home with beautiful panoramic ocean views. 5 bedroom and 4 bathroom home with an extra-large great room (34 x 27) to relax with your family. 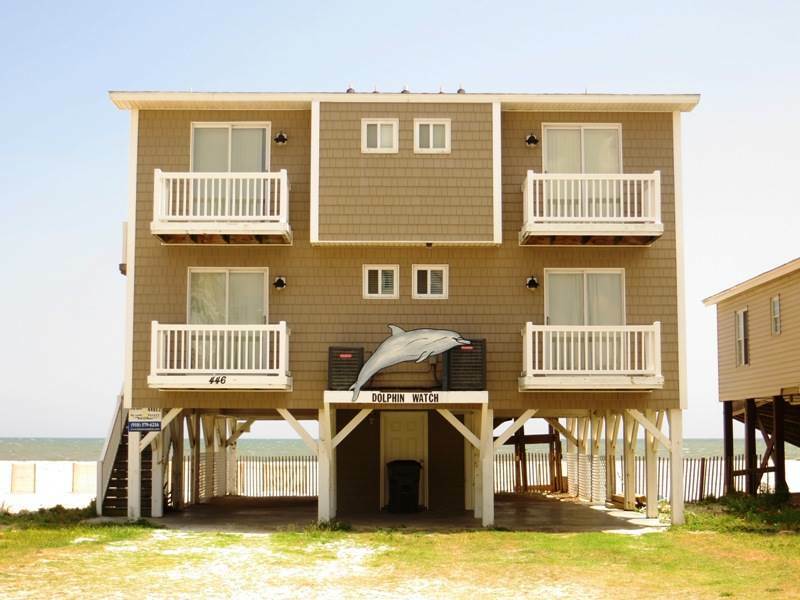 Two large ocean front sun decks and a covered porch to take in the ocean breezes. Each bedroom has its own private deck. Spacious great room. Enjoy the wet bar with mini fridge. Additional amenities include 4 flat panel televisions, digital cable, 2 DVD players, 1 Blu-ray player, wireless internet access, tile floors in kitchen and dining areas. Fully equipped kitchen includes dishwasher, microwave, 2 high chairs, 2 pack ‘n plays, 3 baby gates and Washer & Dryer for your family's convenience. Enclosed Hot/Cold outside shower, gas grill. Sleeps 16. Bedding: Downstairs - King * 2 Queens; Upstairs - 2Queens * Queen* 2 Queens. This house was great for our group. When we arrived the Tv's weren't working due to a previous lightning storm. Sloan came out right away to give us a loaner and the owner came out Monday and replaced everything needed. Great service. This was an incredible vacation. Thank you!